I am not a true coffee drinker. I can pretty much only handle it if it is a caramel latte or something just as sweet. There are no coffee shops where I live, so I only have coffee about once over the weekends. 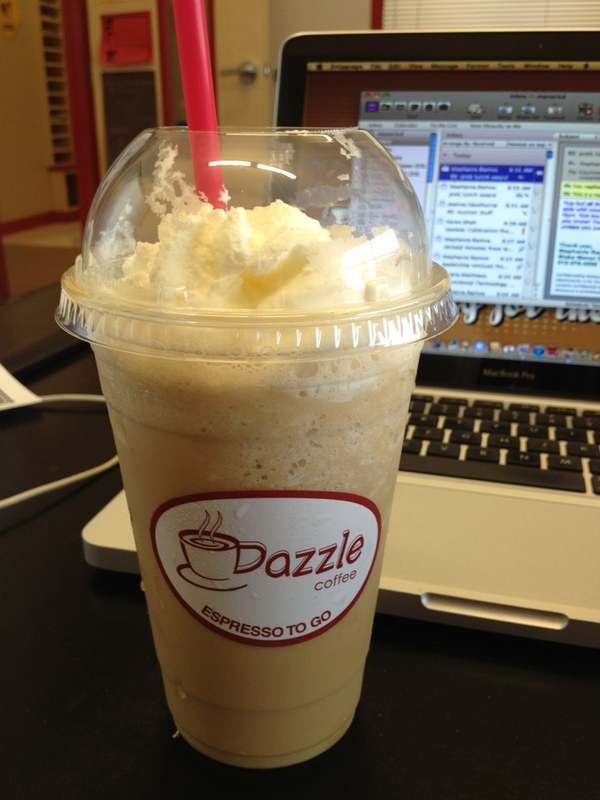 When I go, I go to Dazzle Coffee in Pflugerville. Dazzle is my most favorite coffee place ever!! Today, I was the alternate receiver for a coffee drink! My “super good looking, athletic” friend brought coffee for someone at work, but she wasn’t here, so guess who got her drink?!! MEEEEEE!!! He brought a caramel freezian with whipped cream! It was amazing!! This is my lucky day! !